Essendon Self Store is available in a variety of sizes at very competitive rates. From as little as £8 per week for a 16 square foot (sq’) room to safely store your items. Rooms increase in size as follows, 16, 25, 35, 50, 75, 100, 125, 150, 200, 225 and 250 sq’. The guide below is an indication of what you can get into each room size. Professional, reliable and friendly, is the best way to sum up the customer experience. Located close to J25 of the M25 motorway, the A10 and to the town centre, our tarmac approach and yard leads to the security shutter doors. When you arrive at the facility you are able to bring your vehicle inside, out of the cold, wind and rain. The facility has security cameras offering 24 hour protection. Each room is secured by your own padlock, We have padlocks in stock if you need to buy one from our box shop. Only you will have the key. Essendon is only 10 miles from our storage facility. Essendon self store is available to suit your needs. 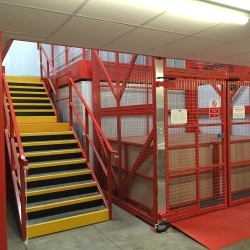 Security Self Storage offers flexible short or long term self store. After you have moved your items in and find the self store space is not enough or maybe too big, you can move to another available self store room. Room rates will be adjusted accordingly. You may need Essendon self store at different times in your life. This could be when you are decorating or renovating your home. Maybe you are downsizing your accommodation but wish to keep possessions such as a sofa, garden furniture, items from your garage or even a kayak! During your working life you may move to another town or even another country, with the expectation of returning home. Essendon self storage is perfect for this type of event. 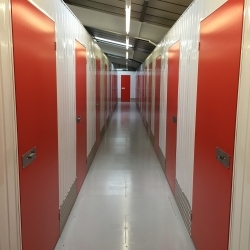 It makes sense at these times to look at Security Self Storage as an affordable and secure way of storing your personal belongings. 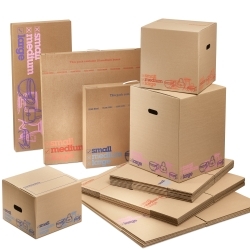 Essendon self store offers a simple and flexible solution to your removal needs. When moving home there may be a period between moving from one property into another. Essendon self store can help with collecting and storing all your household possessions. Security Self Store is wholly owned by White & Company, one of the largest domestic removal companies in the UK. Essendon self store have the experience to cope with last minute calls for self store space when clients are moving. However, planning your move as early as possible is definitely beneficial, as there are a host of things that need to happen to ensure your move takes place on the day or days you require. One of your first tasks should be to arrange a written quote from an established removal firm and if you require personal or business self storage, now is the time to arrange this. Should you be planning a move to Essendon you may find the information below useful. Essendon is a popular area with a range of different property types styles and prices. During May 2017 the average price for property on sale in the area is £682,000. Detached houses are selling at around £1,089,000. Semi detached properties are selling at around £586,000. Terraced properties are selling at around £406,000. Apartments are selling at around £275,000. These prices are only to be used as a guide and are subject to change. There are a number of ways of buying or selling your property. These include on-line and high street agents. The local estate agent will have a good knowledge of Essendon, which makes them worth visiting to get advice on the area, schools and amenities. Below are examples of local estate agents. Essendon Self Store – Local Self Store – Security Self Storage Essendon: 01992 877540 for a free quote or arrange a visit.